Etude House Precious Minerals Magic Any Cushion SPF 34 / PA++ in Magic Mint is a color correcting base for redness and it has a "cushion" packaging. The claims include whitening / brightening, toning and moisturizing while helping with pore control and some anti-wrinkle properties. It contains 15 grams / 0.52 ounces of product. The retail price depends on where you buy it, but I got mine for about $19 from this ebay seller. I usually go over the packaging and then the actual product, but the packaging aspect of this review is really picture heavy and so I'll put that later. In the end, the actual product is what matters and so you can decide if you want to keep on reading or just stop after the product review. Let's do a small experiment and see what side of the face you think I put the product on! The first picture is bare face, second is half face with product, third picture is foundation on top. Now to check if you're right! If you guessed the left side of the pictures, then you're correct. I didn't see that much color correcting but more of a white cast over the area where I put the product. I'm about a MAC NC35 / MUFE HD Foundation #125 / Missha M Perfect BB Cream #27 (what I'm wearing paired up with the base) and so my skin tone would be about medium or even medium light depending on the brand's description. I am too dark for this base and you can see a stark difference in the rest of my body and my face when I use this. I can't use this all over my face because of the difference in lightness / darkness, but it works a bit better just focused on my cheek / under eye region to brighten up my face. It did help with the appearance of under eye discoloration. As a base itself, it is moisturizing and and creates a dewey effect - but almost too dewy for my combination complexion. My t-zone can get oily, but most of my face is more normal. I think it would be better for those with dry skin and that's about it. When I use foundation on top, I find it's better to use a sponge or some kind of applicator that doesn't move around the base placement. Another cushion foundation product would fall under this category too since you'll just be pushing the product in and not buffing it in. & now for the packaging part of the review! The packaging is a bit chunky, but I love how it looks. In some promotional pictures and launch party pictures for this product, it was compared to macarons and the light green color is very similar to pistachio macarons. The mirror is a pretty good size too. On the right (on the bottom of the packaging) it says "push" with an arrow and you can replace the product / sponge with another cushion product once you run out. The sponge lies on top of the "flat" that separates the sponge/product from applicator. It also helps the product from drying out. There's a sticker on top of the sponge / product too. This was the first test application and the amount on the applicator would be too much for my whole face. I found that it was easy to just tap away on my face to distribute the product. It didn't look uneven either. Final thoughts: I do not like this on my face. The packaging and concept is great, but the color is just too light for me and there's no color correction. The product gave me a white cast and made me look more oily than I am. Those who are paler with dry skin might like this though. Even though this was a disappointing product for me, I plan to try out the foundation version of this product and just buy the replacement to put into this packaging. The application was easy and seamless though, but it just isn't for me. Have you tried any cushion makeup? What's your favorite? I really want to try out the peach one now, but since I feel like I'm outside of Etude House's skin color range, I'm worried that it'll still look too light on me :( It's good to see that it worked on other people though! Sorry to hear this doesn't work for you! I've always assumed this would be best as a base though just because of the color! I personally haven't tried any bb or cc cushions but would like a flesh colored one with more coverage! I really wanted this to work for me! 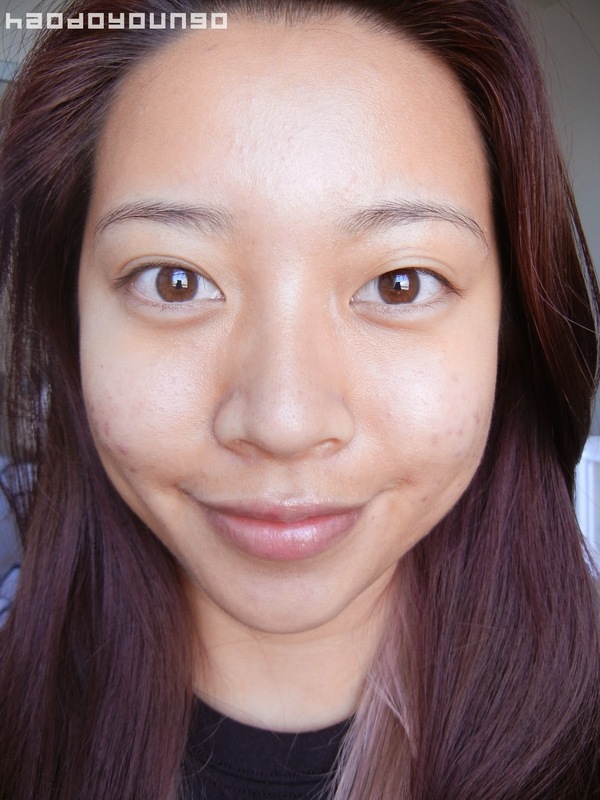 I love the idea of color correction because my face can get kind of red. I've seen reviews on the flesh color ones and they look so interesting! I really want to try some, but I've heard mixed reviews. I believe Hera has a really good one, but I don't know if I want to get it just yet.